What a load of crap this is. Notch, creator of Minecraft and all-round indie-game legend, is being sued by Bethesda. Mojang have upset some uppity bigwigs by trying to call their new game ‘Scrolls’, which apparantly is too similar to ‘The Elder Scrolls’ (Morrowind, Oblivion, Skyrim, etc). As a gamer with enough basic knowledge to understand they are 2 completely different games based on 2 very different genres – one is a sprawling third-person RPG, the other is a card collecting game with a fantasy theme – I can’t understand why such a fuss should be made. And yet here we are again. The world of copyright and trademarks can be pretty damn infuriating sometimes. The fact that this one involves two game developers I am very fond of is saddening. Finally! 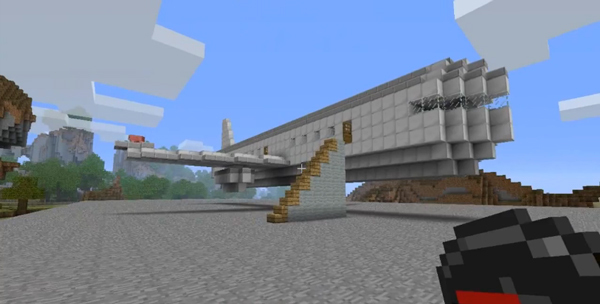 According to Notch’s latest post about the state of Minecraft once the 1.7 update has come around – implementing new piston blocks for creating even more ridiculous and complex systems of awesomeness – there may very well be NPC towns, something that has been hinted at and half-promised well before Minecraft hit beta last year. There is also mention of ‘new combat mechanics, a new lighting engine, and some experimental new gameplay ideas’, and not to mention ‘more interesting farming, [and] bigger incentives to explore’. Could we start to see an inkling of item shops and friendly AI companions for creating armies of doom with? I hope so! Notch promises more details between now and then.